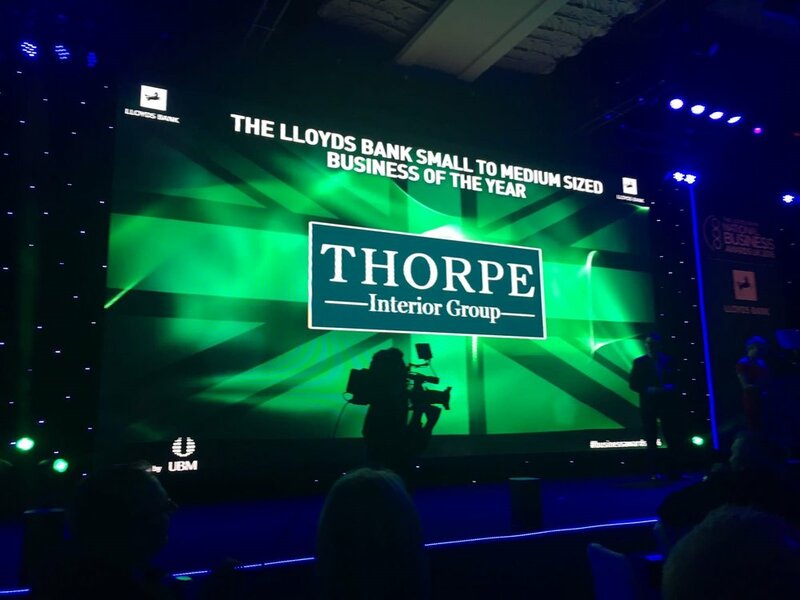 This year the Thorpe Interior Group were put forward for entry into the Lloyds Bank National Business Awards. Touted as the "Oscar's of British Business", this represented a major opportunity for us to test ourselves against some of the best and brightest across multiple fields of industry. After our initial application we were delighted to receive news of our shortlisting in the "Small to Medium Sized Business of the Year" category, meaning that we had been selected from a huge amount of applicants to put forward our case in front of an expert panel of judges. The judging process was an exceptionally enjoyable experience and it was great to meet some of the leading members of British industry in the process. The awards evening was held in London's prestigious Grovesnor Hotel, and despite missing out to deserved winner's The Handmade Burger Co, we believe that this shortlisting is testament to the progress Thorpe's Joinery has made, and the ongoing commitment, skill and service quality of our staff.